Oak framed buildings including oak garages, oak gazebos and oak porches. Shire Oak offer bespoke porches that are traditionally crafted to the required specifications. 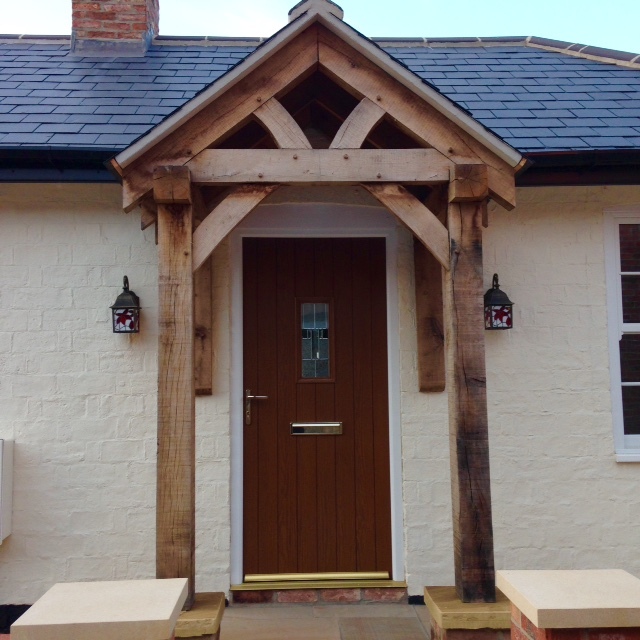 Oak porches create a welcoming entrance way that compliments the surroundings. The green oak frame comes in a variety of styles and sizes to suit your needs and there are a variety of additions available. 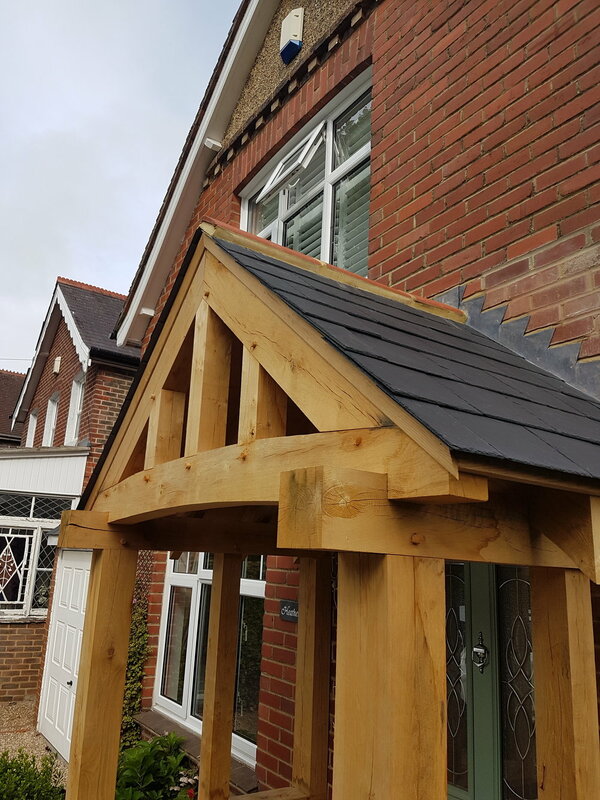 An oak porch has a certain number of basic elements such as the side frames, truss and rafters. Over the years we have made lots of beautiful porches and you are welcome to order an exact design you have seen on our website or online to your required sizes. Otherwise it is possible with a few simple changes of the main elements to create a porch that is unique to your property. Before ordering your porch we will quote for your specific project. As a guide the porches you see below up to a size of 1.7m width and 1.6m depth would be £1,175 but any size or style can be supplied and installed. This price is for the main oak frame on a supply only basis. Please contact us with your ideas, plans or questions.